Published: Dec. 6, 2015 at 01:58 p.m. 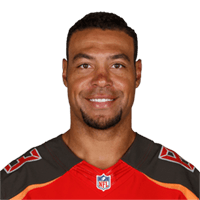 Buccaneers Vincent Jackson breaks away for 36 yards. Published: Nov. 22, 2015 at 01:52 p.m. Published: Oct. 4, 2015 at 04:14 p.m. Buccaneers Jameis Winston hits Vincent Jackson for the 6-yard TD. Published: Sept. 20, 2015 at 02:27 p.m.